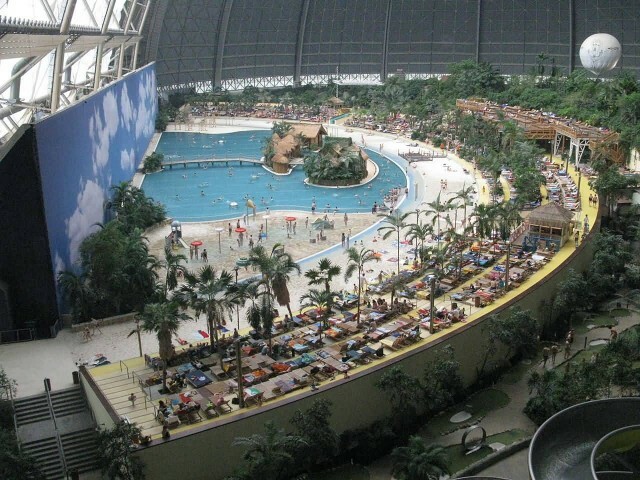 Tropical Islands Resort is a tropical theme park located in the Brandenburg, Germany. 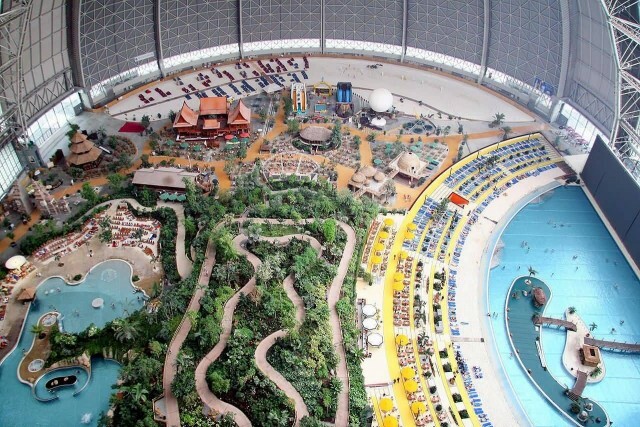 Tropical Islands was built by the Malaysian corporation Tanjong in the former airship hangar known as the Aerium. 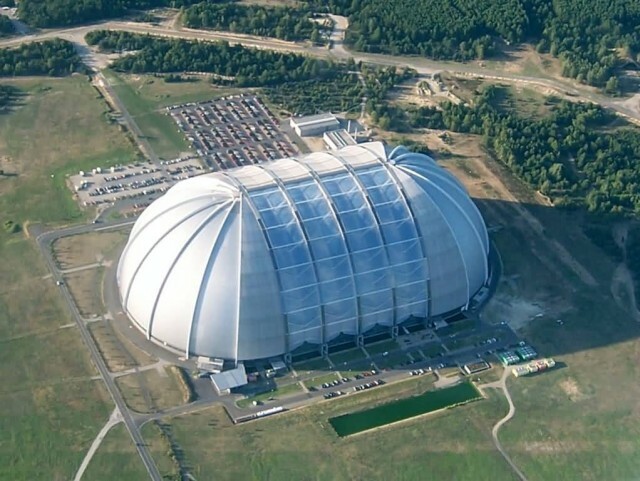 It is the largest free-standing hall in the world. Tropical Islands has a maximum capacity of 6,000 visitors a day. Approximately 500 people work at Tropical Islands. 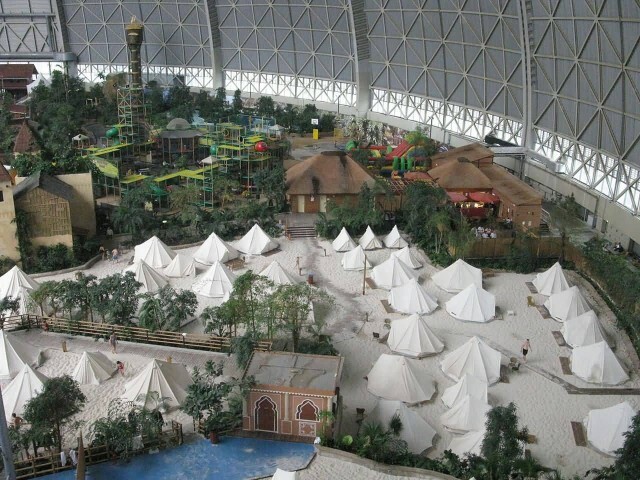 Tropical Islands officially opened its doors on 19 December 2004. 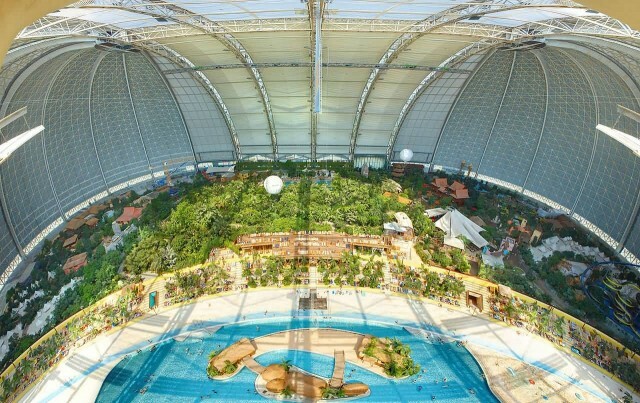 Tropical Islands is home to the biggest indoor rainforest in the world, a beach, many tropical plants and a number of swimming pools, bars and restaurants. It is open around the clock, every day of the year. On entering the hall, visitors choose between different basic admission options with different prices. Inside the hall, payments are made using an electronic chip wristband. Tropical Islands is divided into two main areas each with its own admission price: the Tropical Sauna & Spa complex and the Tropical World. Visitors can move from one area to the other by paying an additional daily charge. Additional charges also apply for areas such as the water slide tower, crazy golf course, African Jungle Lift, evening show and internal accommodation area. The entertainment programme comprises a gala evening show, smaller shows during the day and various events.